Indian Air Force pilots claim they outflew and outgunned their Royal Air Force (RAF) counterparts during a joint exercise held in the UK. The Indian pilots claim they outperformed the RAF’s Typhoon crews with their Russian made jets during an Indo-UK exercise named Operation Indradhanush, which was held over 10 days in Lincolnshire last month. The Indians are equipped with the Russian-designed SU-30MKI Flanker fighter. They claimed they won their dogfights by an impressive 12-0. An RAF source was quick to talk down the claims, telling the International Business Times, “Our analysis does not match what has been reported, RAF pilots and the Typhoon performed well throughout the exercise with and against the Indian Air Force. Tony Osborne, the London bureau chief of Aviation Week, backed the RAF’s comments, telling the Independent, “These cricket-style scores claimed by the IAF look impressive but should be treated with caution and certainly not as a realistic gauge of combat capability. “We have to view these scores through the haze of pilot bravado, national pride and also some political correctness. “Nonetheless, the SU-30MKI is one of the aircraft that the Typhoon was designed to tackle and defeat, and no doubt in the right hands would present a potent challenge,” he acknowledged. Issues with the Typhoon have been raised in the past. In June, the UK’s influential National Audit Office (NAO) said that the multi-billion pound Typhoon training scheme, which was outsourced to a private consortium, was six years behind schedule. Auditors warned if the scheme is not brought up to speed it could leave the UK without properly trained aircrews. The Ascent contract, designed to be fulfilled by a consortium composed of defense firms Babcock International and Lockheed Martin, was intended to be running at full capacity by 2014. The NAO expects it will not be hitting its goals until 2019 at the current rate of progress. The scheme is for training pilots and crew to operate the Royal Navy’s Hellcat helicopters, the British Army’s Apache attack helicopters as well as the Royal Air Force’s Typhoon fighter jets. “Implementing the new flying training has been challenging,” NAO head Amyas Morse said. Su-30 MKIs are among the most advanced Russian-designed warplanes operated by a foreign military. They were developed and initially produced in Russia, but India started producing them in 2004 under a license. 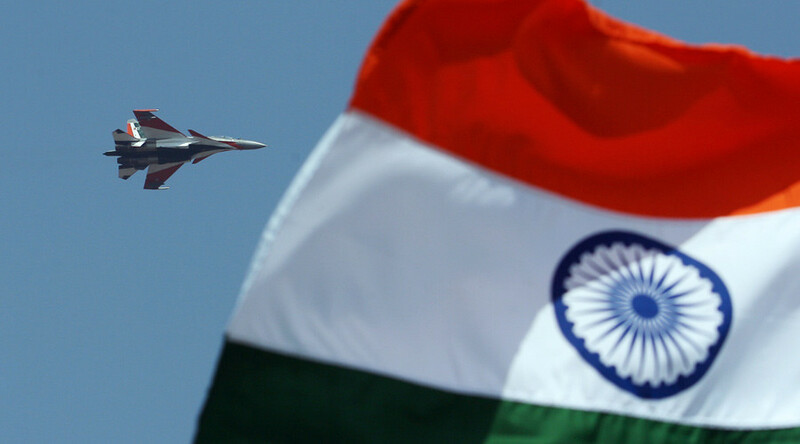 The Russian military ordered a domestic variant of the fighter based on the Indian version, replacing some equipment to comply with Russian Air Forces standards.